ArtPod invites you to embark on a journey, visitors are lead into new worlds of thought, unconventional art spaces and unusual perspectives. Produce group exhibitions/ art experiences with a range of artists, media and settings with the goal to introduce innovative artistic concepts to encourage discourse. We strive to stretch traditional art boundaries allowing the creative process to develop and expand for both the artist and viewer. 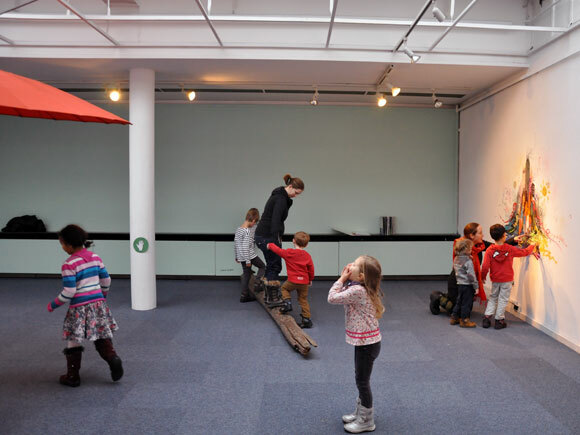 With the potential to pop-up at museums, galleries, art happenings, conferences and other public spaces, ArtPod is innovative in its approach to contemporary art education. By emphasizing open exploration and de-emphasizing pedagogical approach, the organization encourages children to discover their strengths and talents, develop curiosity, explore new ideas and gain fresh perspectives on themselves and on the world. ArtPod exhibits contemporary art that has not been modified or compromised in the name of reaching different audiences. Instead, it rethinks and reworks the context in which art is exhibited and made accessible. Thus, internationally recognized artists present their artworks to visitors both young and old, without guides, docents and other traditional forms of gallery mediation. By opening up the contemporary art experience through tangible, holistic and experimental engagement, ArtPod therefore seeks to break down accessibility barriers through the concept of Art Education DIRECT: encouraging hands-on, unregulated and direct interaction between the art, artist and viewer. 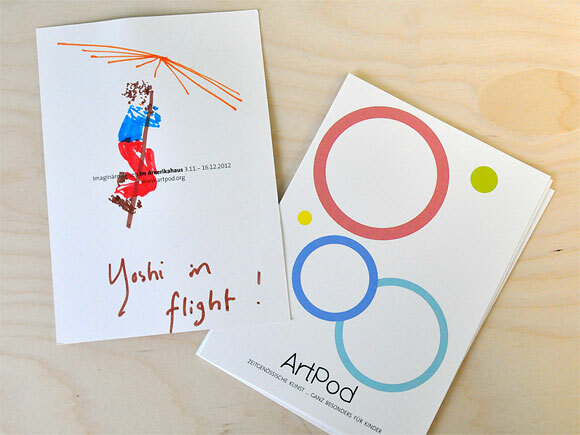 ArtPod aims to promote unique, playful and direct engagement with contemporary art for all audiences, regardless of visitors’ age, background or experience. We also acknowledge that every art space, institution and community initiative is different, which is why we tailor our services accordingly. By working with existing corporations’ and art spaces’ teams and structures, we strive to activate core values through innovative arts programming and foster outreach with new audiences. Sandwich Project, Brick Lane London organized by Stefan Saffer with artists Joanna and Helmut Kandl, "Eating Austrian Sausage's"
Whether curating mobile exhibitions series, developing hands-on education programs or providing consultation for pre-existing art spaces, ArtPod aims to engage its audience beyond participation: to foster, in other words, the budding life of art after the museum doors close.